Meatless Meals for Two or Just You! 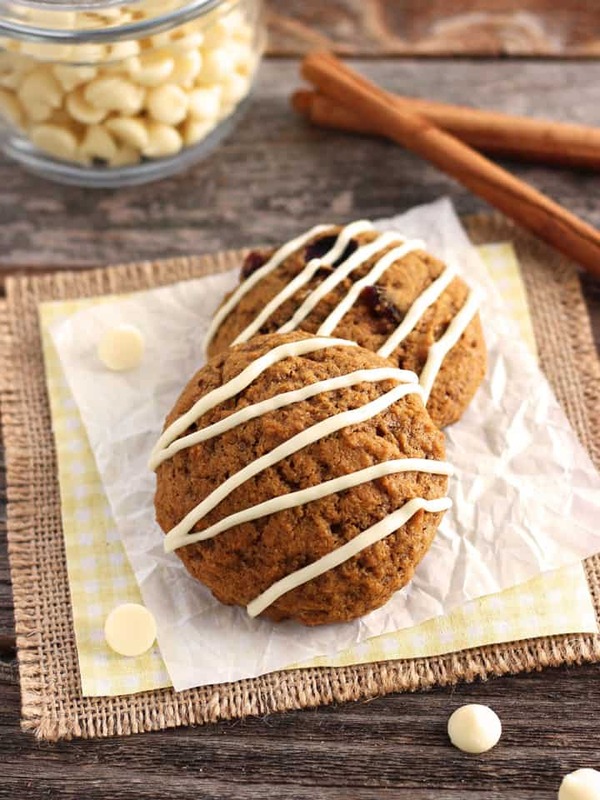 Small Batch Pumpkin Spice Cookies are a tasty fall treat you can bake in your toaster oven. Perfect for using up a tiny bit of leftover canned pumpkin! Why are cans of pumpkin puree so darn big? At the store, nestled between cherry pie filling and canned pears they seem reasonably sized. But crack one open for a batch of whole wheat mini pumpkin donuts and soon you’re living in Pumpkin Purgatory. The pumpkin needed for your must-have freshly baked donuts barely made a dent in that enormous can. Not one to waste food, you’ve been stirring pumpkin into your morning oatmeal, making batches of Pumpkin Ricotta Stuffed Maple French Toast and whipping up pumpkin spice lattes. There’s stilllllll more pumpkin left! Eventually, you whittle it down to a few tablespoons. 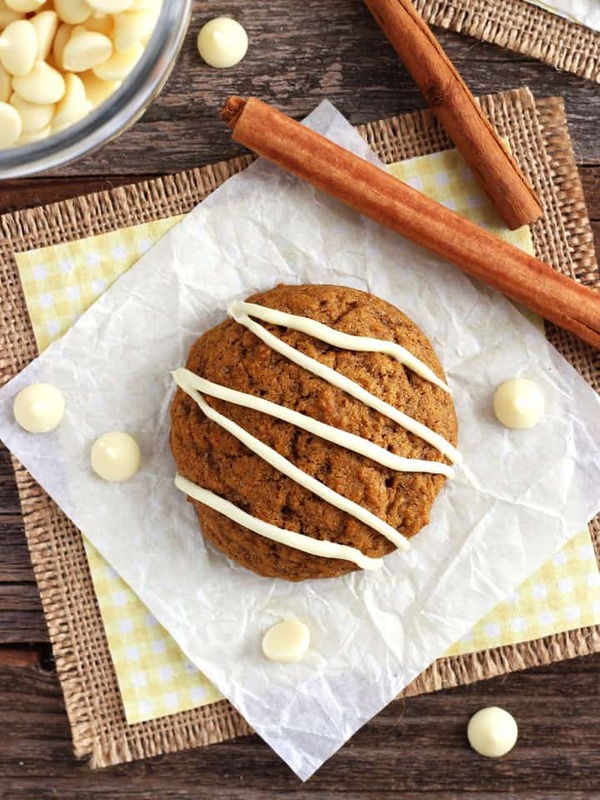 Just the right amount for some small batch pumpkin spice cookies that are light and crispy outside, fluffy inside and full of pumpkin pie spiced flavor. 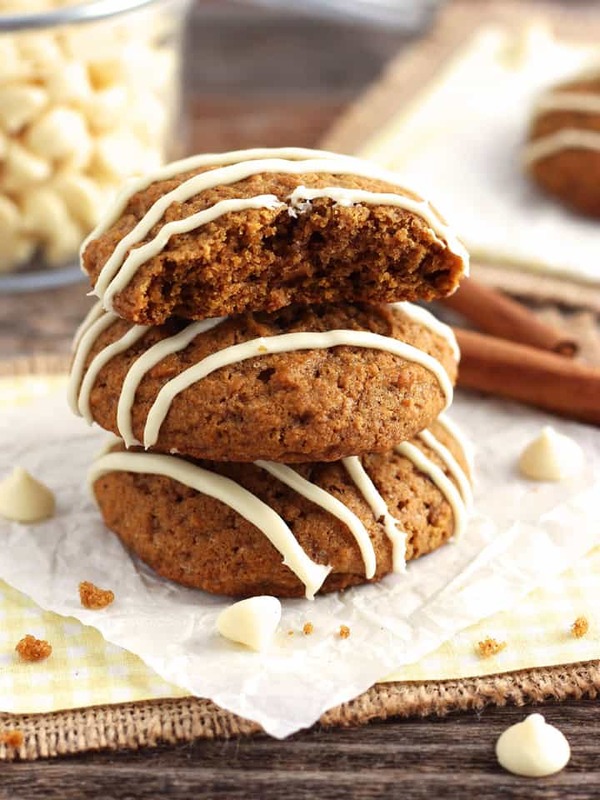 Organic brown sugar gives these whole grain cookies a more complex molasses flavor that pairs nicely with the pumpkin and spices. Traditional light brown sugar is an okay substitute but just like in these Irresistible Peanut Butter Cup Cookies you’ll get the best results with dark brown sugar instead. Once you’ve got your sugar sorted out the soft cookie dough comes together in minutes and requires no chilling. Ideal for satisfying late-night sweets cravings. Throwing together when unexpected holiday guests drop by. Or, the best reason to make cookies = just because. And there’s no good reason to waste time and money heating up your big oven for a small batch of cookies right? Use your toaster oven instead! It will preheat super fast meaning you can enjoy freshly baked cookies in no time. We love to finish our cookies sprinkled with turbinado sugar before baking for an extra sweet crunch. Or drizzled with toaster oven melted chocolate. I guarantee they’ll taste delicious any way you make them and that darn can of pumpkin will finally be EMPTY! 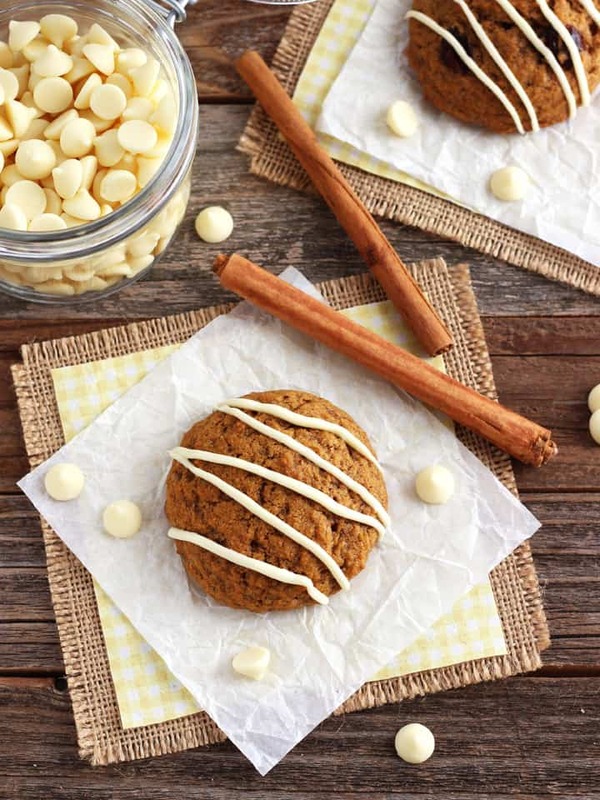 We also shared this Small Batch Pumpkin Spice Cookies Recipe on Food Fanatic, stop by to print out the recipe! oooh, the drizzle is a great touch! the texture of these looks and sounds ideal–nice recipe! Toaster Oven Love is a participant in the Amazon Services LLC Associates Program, an affiliate advertising program designed to provide a means for sites to earn advertising fees by advertising and linking to Amazon.com. Disclaimer: The contents, opinions, and comments published on Toaster Oven Love are for entertainment, informational and promotional purposes only. It is your responsibility to evaluate the accuracy, timeliness, completeness, safety, or usefulness of the information before use.